Whether you’re working on the side of the road or well away from it, Freightliner® medium-duty tree-trimmer trucks offer best-in-class visibility, important safety features and excellent maneuverability, making each job easier and safer. Thanks to clear back-of-cab frame rails, upfitting is simplified for truck equipment manufacturers. 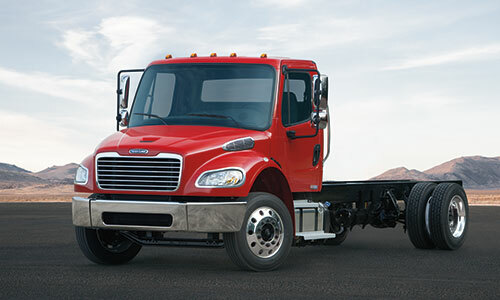 With a proprietary Freightliner® SmartPlex™ electrical system, customization options abound. To check out a tree-trimmer truck dependable enough to get the job done but efficient enough to save significant time and money, contact a Freightliner® dealer today.